The latest mobile vending technology. Now at Gator Vending we offer the latest vending technology including Apple Pay and our pay with your cell phone service. You’ll love the convenience the technology provides. It’s easy to get started, here’s how. 1. Download the free PayRange app available on the App Store and on Google Play. 2. Launch the app and sign-up. 3. Add funds via credit card, debit card or Apple Pay. (Minimum load is $5.00. Funds can be used on any PayRange Machine. 4. 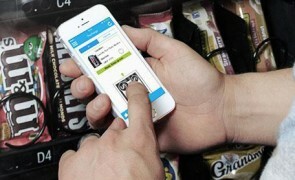 “Swipe” payment at machine. 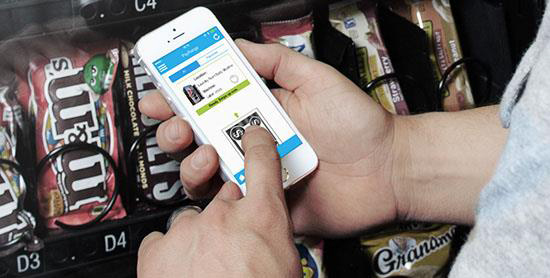 When you are in front of the machine, launch the PayRange app. It will find the machine automatically and simply “swipe” the bill on the screen up to the machine and it will send payment. Complete transaction on machine. It’s that simple. For more information, visit PayRange.com. We accept Apple Pay as well as traditional swipe credit card options.